Fixing your roof to prevent leaks in the Cape winter storms is one thing, but residents of Khayelitsha YAB informal settlement say water is coming up through the floor. Residents say rising waters caused by the recent rains have left them splashing around in their own homes. The water, which was ankle deep in their shacks during the worst of the rains last week has damaged all their belongings and turned their lives into a misery. They’ve been fighting the annual floods every year since they moved to the area in 1991 and have continuously reported the matter to their ward councilor but nothing was ever done to help them. Thandikhaya Matiso, 36, said every year she tries to put sand around the house to prevent water flooding in but the water rises from under the ground. “Most of my cloths are wet, my cupboard is damaged I can’t even move my cupboard because it’s falling apart. We can’t live like this,” said Matiso. 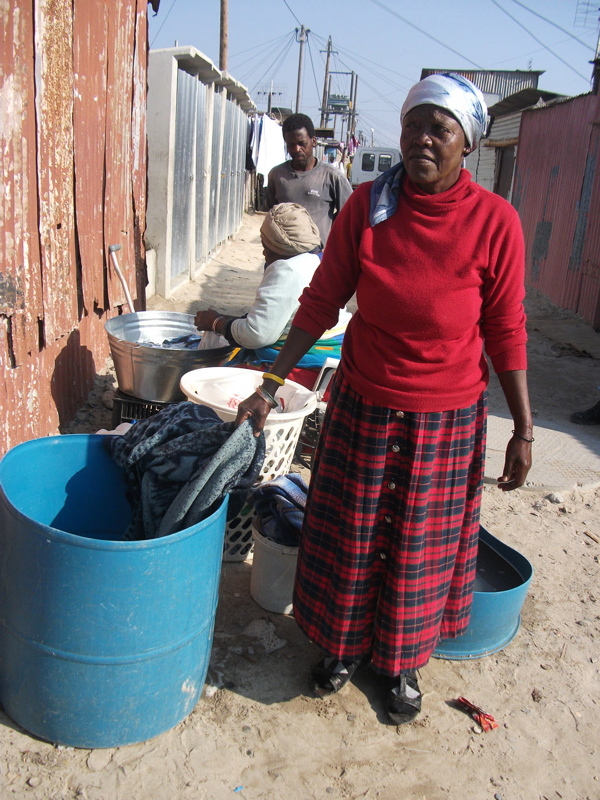 Dora Mgqasha, 58, said all her clothes and her bed was wet. “The winter has just started and I’m worried we might get sick. We want experts to take a look in this place, it’s like we’re living on top of water. My house is not leaking on top, the problem is water coming underground and we don’t know what to do to prevent it,” she said. Residents’s committee chairperson Unathi Mabengwana said they’d been fighting against the winter floods ever since they moved into the area. City of Cape Town’s head of public awareness and preparedness at the Disaster Risk Management Centre, Charlotte Powell, said the centre’s records showed no incidents of flooding were reported from YAB informal settlement. This meant the ward councillor never alerted the city to the residents’ plight. Powell said when the centre had been alerted to the problem officials “immediately” visited the settlement. However, she said the damage in YAB “was not extensive” but she encouraged residents to report incidences of flooding so that the City could attend to it as quickly as possible. She said the city ran an awareness campaign to educate residents on how to prevent flooding, and if flood damage was extensive, the city would provide assistance.